A simple html5 template that is mostly white and mobile responsive. 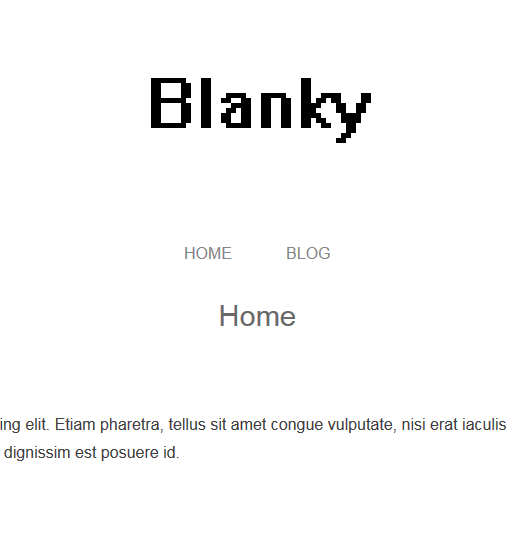 Blanky is also available as a WordPress theme so you do not need to use HTML version for all your pages if you do not wish to. Blanky is super light-weight and minimal. Simply download the files from the link below (.zip), then upload them to your web server. You can then extract and edit the files to suit. A simple html5 template that is mostly white and mobile responsive.